If you are a Rebtel user and want to make a conference / group call, then this post is the right place for you. Rebtel is a great, cheap way to make international calls to your loved ones with crystal clear voice quality. I love it and I'm sure that you do too. So when you get what you need without much effort you want more, that’s human nature and in Rebtel's case more is possible in the form of Conference / Group calls. Rebtel don't officially offer and support conference calling as a service. This can be a useful feature if you want to call your friends and family at once over PSTN without caring about what device they have. For a receiver it is as simple as just picking up the call and talking. You do not have to bother getting online, downloading plugins or software to just engage in a simple call. This is basically a hustle free solution. Conference call over data is great, but there is one catch that everyone you want to be in group / conference call should be using it too, and be online on certain application like Skype. 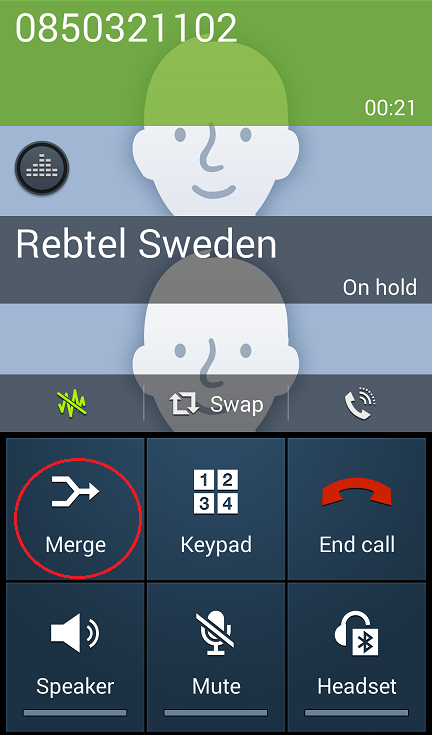 So how can you actually make Conference / Group call using your beloved Rebtel, It requires some work but it’s not difficult at all. Before we start with the details, please note that there are some limitations of this process. This will only work if you are registered in one of Rebtel Countries. If you don't know what the Rebtel countries are? Read here. The reason to be in a Rebtel country is to use Rebtel famous and brilliant feature Local Numbers. Confused about Local Numbers? Have a quick peak here. We will use the phones native conference call functionality. You have to use a Smartphone, any smart phone with the Add Call button on the dialer while on call indicates the phone supports conference call natively (e.g. Android, iPhone or Windows Phone). As we will not use the Rebtel app you have to bare network charges for every call. So if you have an unlimited or free minutes on your price plan from your operator this process will be much cost effective. Every number you add in My Local Numbers by login in http://my.rebtel.com, Rebtel assigns a Local Access Number against the contact so as an alternative of using Rebtel app, you can directly call Local Number and Rebtel automatically connects you with the friend you want to call. FYI, Rebtel Local Numbers are personal and cannot be shared. 1. Go to http://my.rebtel.com on a menu click "My Local Numbers", and create Local Numbers for the contacts you want to do a group call, and save in your save Rebtel generated local access number to your phone contacts. You will get a SMS and email of the number when you created the local access number so you can easily save it in your phone contacts. 2. Now all you have to do is make a regular call from your phone native dialer to the Local Number with whom you want to have conference / group call to initiate local minutes based Rebtel call. 3. 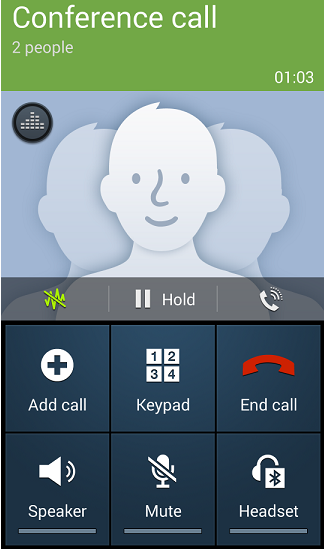 Once the call is established, press the add people button on a dialer and select contact (with Rebtel local number) to initiate the second call. At this point the other party will be on hold automatically so inform them beforehand not to disconnect the call. You can manually put them on hold as well just to be on safe side. 4. Now you have two calls established one on hold and the second active, simply tap Merge Calls on dial pad to create a conference call. Repeat step 3 to 4 for each additional personal whom you want in on the conference call. You can add up to 5 people on conference call on Android and iPhone by repeating the same process. Bonus Tip: If your friend calls you while you are on a call you can merge him in conference call as well. So instead you call people, they can call you and you add them in your conference call. Great for people who want to save network and Rebtel charges. Go ahead and make conference / group call. Windows phone app upgrade is in the pipeline, be patient :). Drop some lines to Rebel support to push it. Hi, I myself use Galaxy Note 3 and the above tutorial was successfully carried out on the same phone for the screen shot purposes. If you explain the difficulties you are facing in detail, I will try to help you out to the best of my abilities. 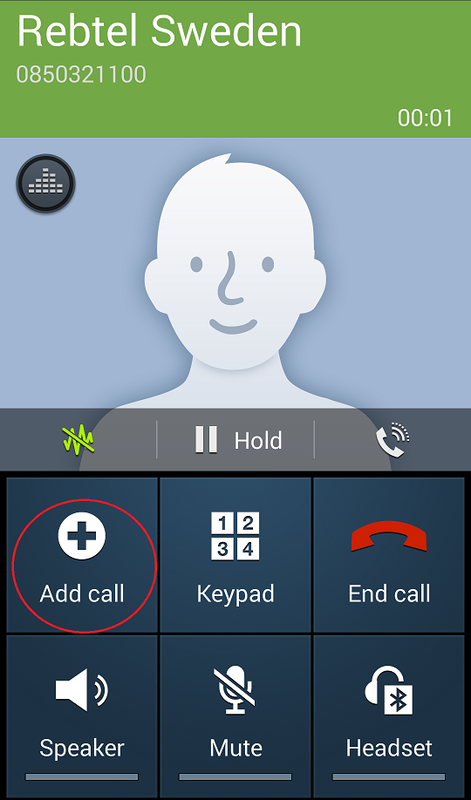 Check with your network carrier, some of them don't allow conference calls like somple mobile. I have been using this feature for close to a year now and it works perfectly on my Samsung galaxy. I tried in apple i6 phone but when tried adding/calling local number to establish conference call next party local number is getting dropped off immediately after dialling. Hi, it looks like your network carrier don't allow conference calls. Hello, Check with your network carrier, some of the carriers don't allow conference calls. Or may be you phone don't support it Can you kindly let me know what device you are trying to use for conference call?